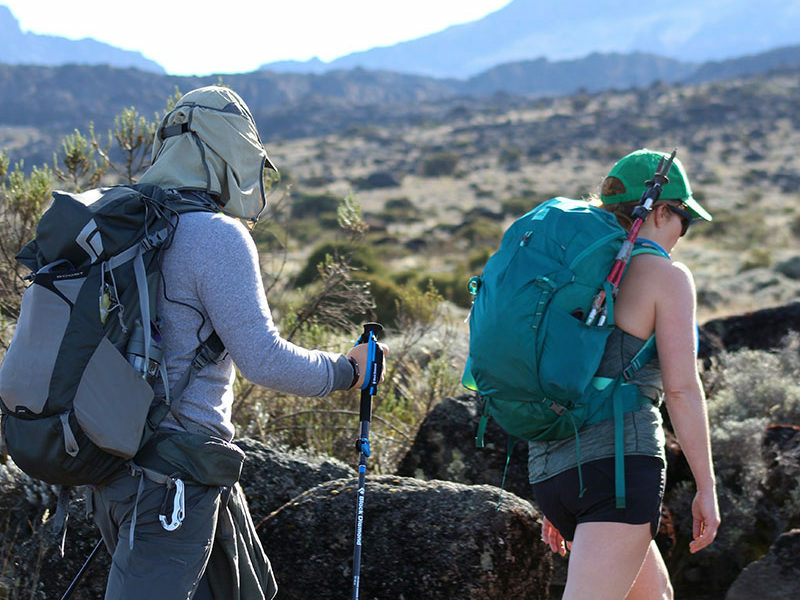 The Machame Route (also known as “Whiskey Route”) is a very scenic hiking route. It leads hikers through the montain rain-forest up to the Barranco Wall. The altitude profile of Machame Route 7 days is ideal for acclimatization, allowing climbers to hike to higher altitudes during the day than they’ll be sleeping overnight. 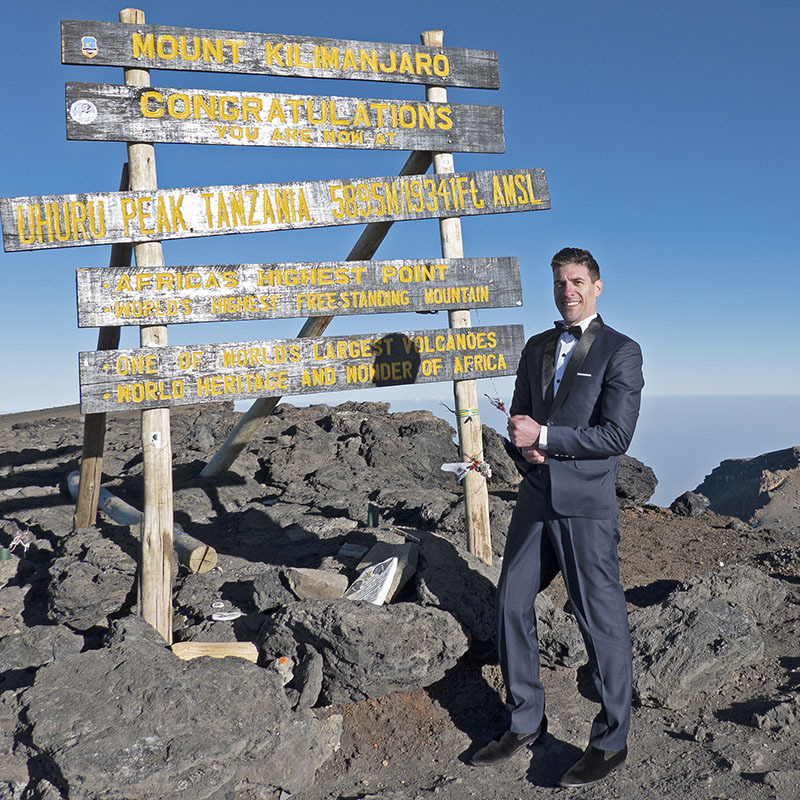 The Machame Route can be completed in 6 or 7 days. 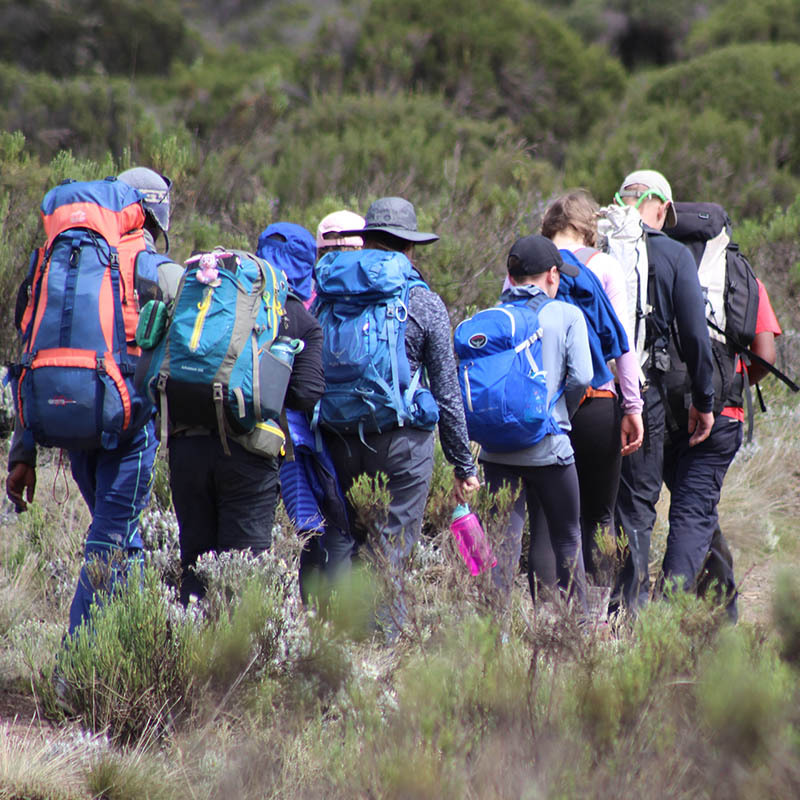 We mostly recommend the 7-day Machame Route Itinerary over the 6 days Machame Route Itinerary to allow more time to acclimatize to the high altitude. 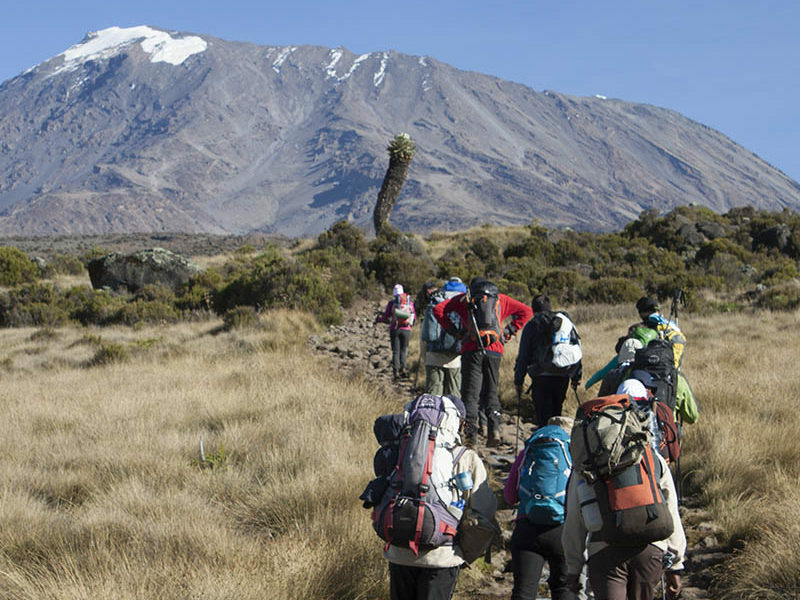 We recommend the 7 day Machame route, if you prefer to experience most of Kilimanjaro’s scenic highlights and don’t mind sharing your climb with many others. 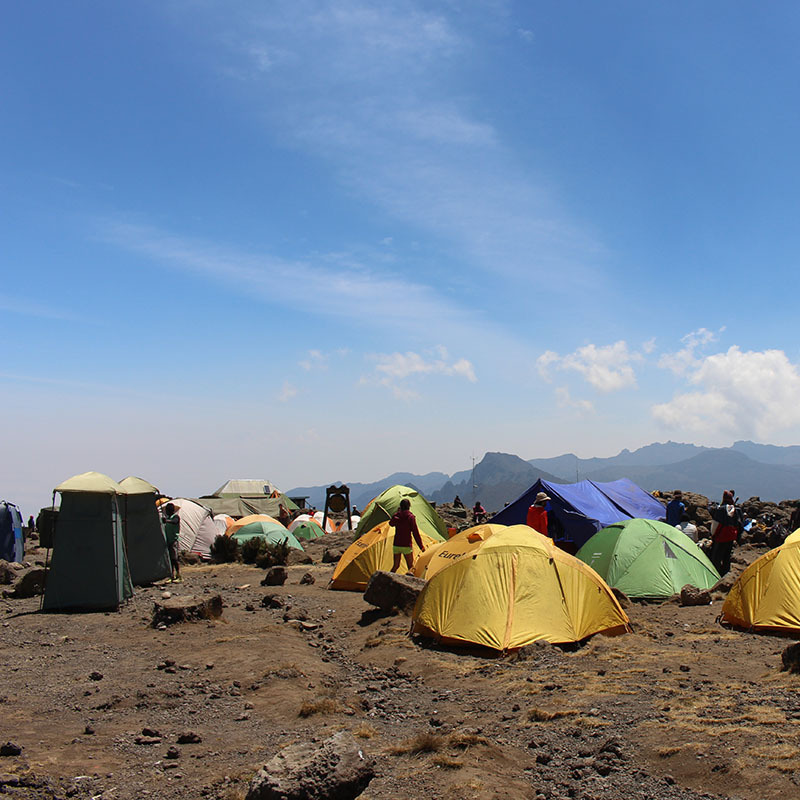 While even longer routes might further improve your acclimatization to the high altitude, and thereby your summit success chance, the Machame Route has the best altitude acclimatization profile of all 7 days’ routes. Following a well-deserved breakfast, your staff will have a big celebration full of dancing and singing. It is here on the mountain that you will present your tips to the guide, assistant guides, chef(s), and porters. After celebrating, you will descend for three hours back to Mweka Gate. The National Park requires all hikers to sign their names to receive certificates of completion. Hikers who reached Stella Point (5685m) receive green certificates and hikers who reached Uhuru Peak (5895m) receive gold certificates. After receiving certificates, hikers will descend into the Mweka village for 1 hour (3 kilometers). After receiving certificates, you will drive back to your hotel in Moshi.